Once you have figured out which rooms to put ceiling fans in, you’ll want to decide where in that room you want to install the fan. For smaller square rooms, the answer is easy. Put the fan smack dab in the center of the room. However, for abnormally shaped or extremely large rooms, a bit more thought is required. For abnormally shaped spaces, place your ceiling fan centered between the two farthest apart walls. If the room is extremely long, or you have an open floor plan where one large space acts as a few separate rooms, multiple fans may be required. 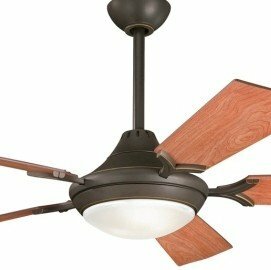 In this case, treat each “area” of the space as its own room and place ceiling fans appropriately. Our experts can help you decide which rooms need fans and where those fans should be placed to get you the best air flow possible. By installing ceiling fans in your home, you can reduce your carbon footprint and increase the airflow throughout your home, while also bringing in another element that will allow you to show off your homes style.